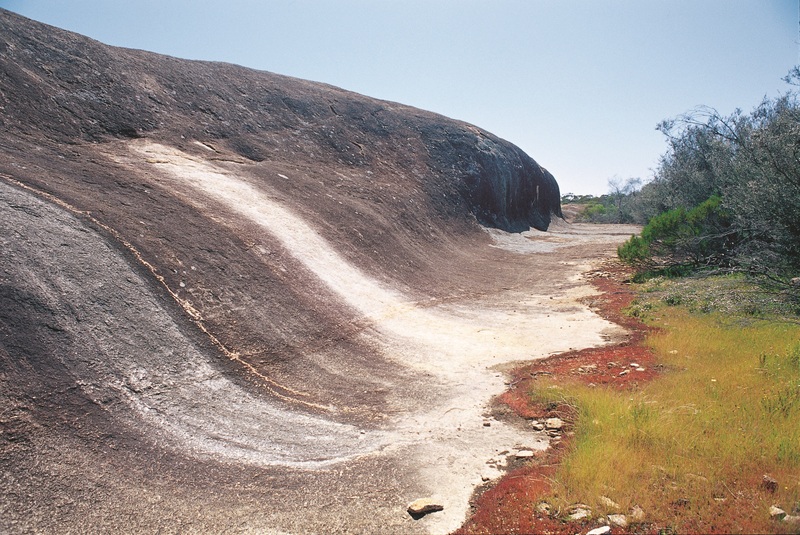 Totadgin Rock, a large granite outcrop incorporating a small “wave rock” located 14 km south of Merredin, is worth a side-trip from Great Eastern Highway. You can follow a signposted walk across the dome of the rock to see the wave formation and read about the theory behind its creation. Totadgin Rock is an inselberg, or “island mountain”. Surrounded by a nature reserve comprising woodland and heathland, it is home to such bird species as the Southern Boobook, White-eared Honeyeater, Weebill and Chestnut-rumped Thornbill. The presence of water, shade and birds have long made it a popular picnic spot. Today’s walking trail adds to the pleasure. I found that Mr Turner’s party had not been idle on Saturday he having had a small garden made and fenced in, a very necessary thing in my opinion when I remember that some of my party arrived at York carried upon the bullock teams suffering from scurvy after eight and a half months upon salt rations. Unfortunately, no sign of the garden remains. But, walking around the area you may find pieces of metal, some small, some large, generally rusty and often twisted. If they seem out of place here then that’s because they are. 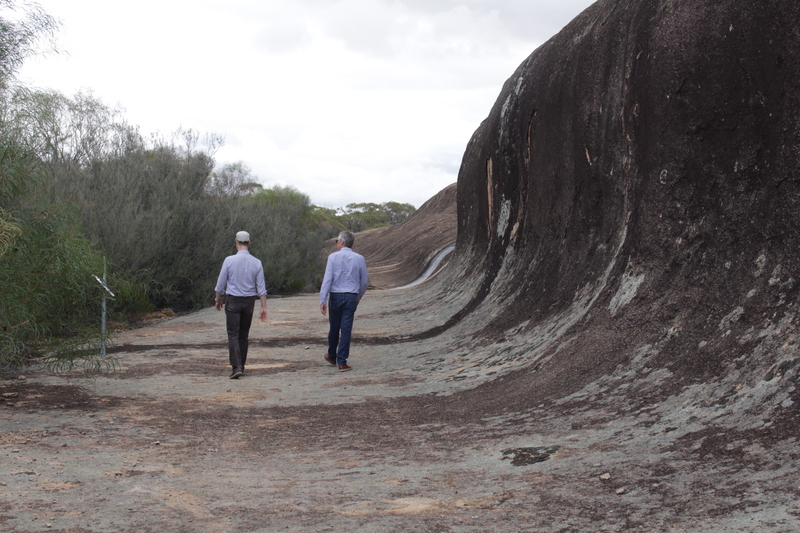 At one time this quiet peaceful place was used to explode old munitions including mines and bombs.